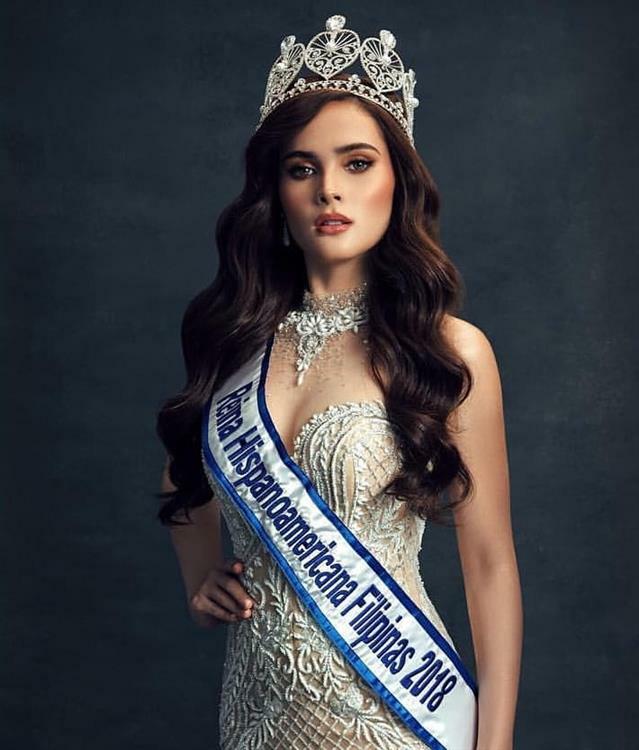 Alyssa Muhlach was crowned Reina Hispanoamercana Filipinas 2018 during the grand finale of Miss World Philippines 2018, by Reina Hispanoamericana 2017 Teresita Ssen Marquez herself. Since the Philippines has been at the opus of reigning the pageant world, Alyssa was also expected to make a concrete mark in the finale. The representative of the Philippines was also deserving according to her qualifications as she is an award-winning singer. She graduated from the University of Asia and the Pacific where she completed her Bachelor of Arts degree in Integrated Marketing Communications. Alyssa is also the daughter of actress Almira Muhlach and former PBA star Bong Alvarez. She is 22 years of age and stands tall with a height of 167 cm. Alyssa has a heart of gold as she is advocating for the empowerment children who grew up abused and abandoned. With her stint in Miss World Philippines 2018, she also gained the experience needed to manage herself in the finale of the international pageant. The Filipino beauty was well deserving to become one of the Top 10 in the finale, but unfortunately could not make it and was out pretty early in the competition. She dazzled in the evening gown that she was wearing during the evening gown round, which was paid homage to Philippine’s national flag. Unfortunately, with Alyssa’s defeat, Philippines was unable to make a back to back win in the finale of Reina Hispanoamericana 2018. The same phenomenon happened in Miss Earth 2018 where Miss Earth Philippines 2018 Celeste Costesi made it to the Top 8 but was not able to go further into the competition. Let’s hope that the nation makes its mark in Miss International 2018 to be held on 9th November 2018, Miss World 2018 to be held n 8th December 2018 and Miss Universe 2018 to be held on 17th December 2018. All the best to Miss International Philippines 2018 Maria Ahitsa Manalo, Miss World Philippines 2018 Katarina Rodriguez and Miss Universe Philippines 2018 Catriona Grey.